With a fantastic location within Cobham Town Centre, this class is one of our most popular and sees children join us each Saturday morning for a fun-filled hour of singing, dancing and drama. 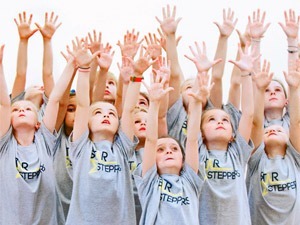 Whether your child is a budding X Factor singer, treading the boards with The Greatest Showman or learning all the lines from their favourite film, they’ll find plenty of enjoyment with Star Steppers. Anna worked at the Danes Hill Pre-prep School and when the opportunity arose to open a Star Steppers Saturday School there, we grabbed it with both hands! We are now thrilled to be based in the centre of Cobham, in the newly refurbished Sacred Heart Parish Church Hall. 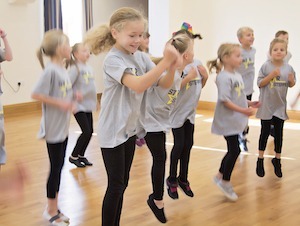 This fun creative class combines street dance and musical theatre styles and is designed to keep children fit and active, increase confidence and bring a smile to their faces! Want to Try our Cobham Class for Free? Simply select which day and your child's age and we'll be in touch! Star Steppers is the highlight of Josie’s week – she just loves her Saturday mornings with Anna and Hannah. Star Steppers gets five stars from us because Anna and Hannah bring the very best out in our little girl. She thrives in the classes and absolutely loves singing, dancing and acting. James thinks Star Steppers is 'awesome'! He loves doing the shows and particularly enjoys all the drama games! He has made lots of nice friends and looks forward to the classes every week. Annie was such a shy little thing but Star Steppers has really helped to build her confidence and we know this will help her in all aspects of her life. We have loved coming to Star Stepper and thoroughly recommend it. 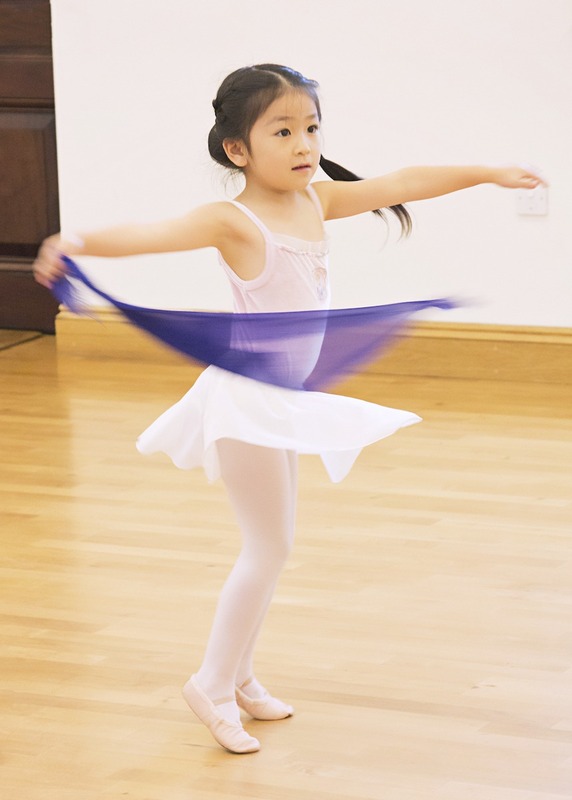 Our Cobham Classes enjoy a host of different theatrical and dance disciplines. We pride ourselves on creating new schemes of work each term to keep students engaged and being pushed in their development, whilst maintaining a fun and inclusive environment. There is plenty of parking at the hall and you are welcome to use the car park. Is there an area where parents can wait during the class? There isn’t anywhere inside the school for parents to wait during the classes. But there is plenty to see and do in Cobham town centre, where the class is based. Do parents stay to watch the class? For the first week parents are very welcome to watch during class, however we feel the children’s development and focus is much improved without people watching each week. This also allows for our regular watching weeks and performances to be an even better surprise for parents. How many children do you have in each group? We try to keep classes to 20 children per group max. There is also a class assistant present for younger groups. Where do the Cobham Star Steppers members attend school? Our Cobham class is attended by a variety of schools including Danes Hill, Bevendean Pre-prep, Lady Eleanor Holles, Rowan and The Royal Kent School. Do you have any boys attending the classes? We have a good mixture of boys and girls in the class, this does change from term-to-term so be sure to ask when booking your trial in for a more accurate ratio. Do you give any discounts for brothers and sisters? Yes – there are sibling discounts available. What do you advise for them wear to class? Is there a uniform that they need to wear? Fees are paid in half-termly instalments. Our members receive an invoice via e-mail and parents pay (preferably) online by BACS or we also accept cash or cheque. Are there any additional costs other than the class fee? The end of term shows are included in the cost of the class and usually performed in the second to last class before the end of term. Every other year we put on a Big Show – in previous years this has been £25 per child and includes costume(s). Combination of dance, singing and drama, covering Street Dance, Musical Theatre and Pop Styles. Who teaches the Cobham Classes? Our Cobham classes are taught by Anna and Hannah. Does our Cobham Class sound like fun? Get in touch and we’d love to talk more about how we like to boogie.